HOW should I buy this Corolla I want? Currently drive a 2005 Corolla LE, and have since 2006. Car has 140k miles and I want an upgrade. Found a 2016 Corolla S Plus, 6-speed with 23k miles listed as $13,999 from an independent dealer. The car is super clean, no accidents, one owner, moonroof, and dealership says it was likely a former lease. It's beautiful. Anyway, they said they would buy my old car only if it could serve them to resell it, but my car, despite running great (as expected from that generation of Corolla), has had a small fender bender (doesn't affect performance), and has the Check Engine light on. Check Engine light I was told by my mechanic is from the transmission clutch solenoid, and is an expensive fix so I never did it. Plus the tire icon light is on despite my tires being fine. Mechanic said that's an electrical and dealership repair but I never did it either. Doesnt seem worth it. The car drives excellent like I said, and will likely last for many years to come if kept it. Anyway, I think I'll just sell my current car privately but am wondering HOW MUCH I should sell it for given its issues I stated? Plus how much should I try to negotiate for the new Corolla? Do you think I can get them down to $11,999? I'm planning on paying straight up CASH for the new car and the guy at the dealership told me a lot of people have looked at it but people don't want it because no one wants a manual transmission anymore. I on the other hand DO want one. Any advice? I'm planning on taking a trip to see the car this Saturday. It's a 64 mile trip to the dealer so I really don't want to take my old car there bc I feel like they won't want to buy it. Anyway, thanks a lot guys! If you are planning to buy a Corolla, Then why don't for lease? I think it would be easier for you to buy your desired car. Let me help you go and check the best lease details on Corolla cars. If you have a further question let me know thanks. Best of luck for your new adventure! But if you think that you are most comfortable with Corolla, I will suggest you to some new models of 2019 or at least 2019. A car should look beautiful and most importantly it should possess extraordinary interior with a capacity of low consuming fuel. I will suggest you to build your own car so that you could enjoy it in your budget with ease and having a very good experience. I also did the same and enjoying it so far. But if you think that you are most comfortable with Corolla, I will suggest you to some new models of 2019 or at least 2019. A car should look beautiful and most importantly it should possess extraordinary interior with a capacity of low consuming fuel. 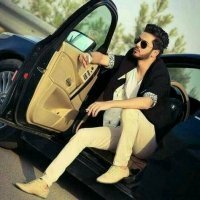 I will suggest you to build your own car so that you could enjoy it in your budget with ease and having a very good experience. I also did the same and enjoying it so far. I'm going for this 2016 because a 2019 would be too expensive. I'm on a budget and can't afford a brand new Corolla. Not sure what you mean by building my own car. This Corolla I found has everything I've wanted as I stated, so there's not much to build on it besides any aftermarket products I would get for it later. I'm definitely not a fan of leasing. I want to OWN what i pay for, instead of worrying about monthly payments for something I will need to return. Interesting, I am just check this website. I am planning to lease a Audi A3 for my wife from DSRleasing. Should I go with this price? I will﻿﻿﻿﻿﻿﻿﻿ suggest you to build your own car so that you Audacity Find My iPhone Origin could enjoy it in your budget with ease and having a very good experience. I also did the same a﻿nd enjoying it so far﻿.